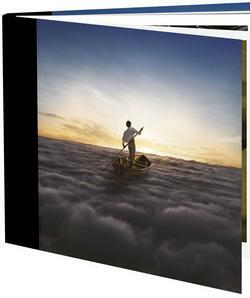 The songs on The Endless River, the largely instrumental Pink Floyd album being released this fall, have been described as spacey and eclectic. While we don't have run times for the songs on it, the track count for the double disc suggests several of the tunes are also quite long. The group's official web site has posted what we presume is the album cover art and track list and is taking advance orders. Copies include a version that offers a hard bound book that includes previously unpublished photos from the 1993 recording sessions that produced the majority of the material on the album.